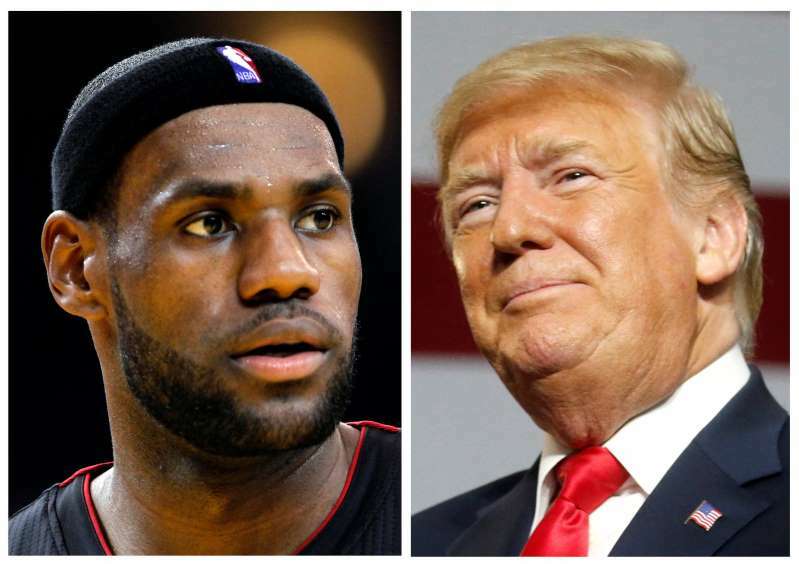 © Robert Galbraith/Reuters and Leah Millis/Reuters LeBron James in Oakland, Calif., in 2013 and President Trump in Ohio on Saturday. Hover over the irony here: The man trying to help at-risk children by opening doors for them was being attacked by the man who has put children at risk by locking them in cages. This attack on a woman seems to me even more important than the racial question. Might it also have some racial underpinning? Definitely. With his history, Trump requires that all his actions be examined through a racial lens. If these denigrations of the intelligence of Waters existed in isolation, one might well be able to write them off as fluke or coincidence, but they do not exist in isolation. A review of the many insults Trump has spouted since he declared his candidacy finds that although he has called many people dumb, or dummies or low I.Q., the targeting of that particular insult at women, including minority women, occurs with curious frequency and is often a singular line of attack against them, rather than one of many. He has said that Maria Cordona made Morning Edition contributor Cokie Roberts look “even dumber” than he believed she was on a news show. I read in these comments an overt misogyny that has long existed in this country and the world, one that seeks to undercut the seriousness and cerebral capacity of women, to render them as emotionally unsuitable for deep deliberative analysis. It would be laughable, if so many people didn’t vehemently insist that the myth has meaning. This is the very same argument that people have used to deny women’s suffrage and prevent access to full political participation. Who looks dumb now? Yes, Trump.